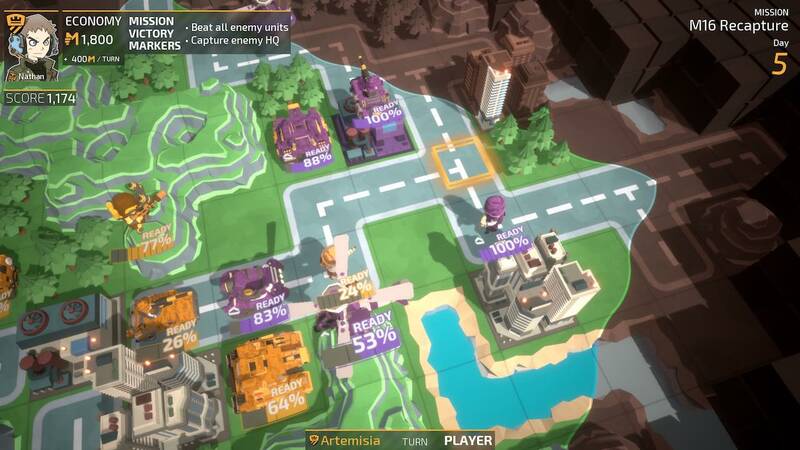 Unties and Area35 have released a new software update for Tiny Metal, seeing the turn-based strategy game now on version 1.1.0. This has added competitive online multiplayer, letting you challenge friends on one of 11 maps. And, six new missions have been introduced to extend the story campaign with Act V.
“Tiny Metal already delivers a great single player experience with deep, nostalgia-inducing gameplay reminiscent of Advance Wars,” explains Area35’s Hiroaki Yura. Tiny Metal is now available on the Nintendo eShop for Nintendo Switch worldwide, and is discounted by 50 percent in Europe until January 18th.